Paul, can you give us a little background on how you got into live streaming? I've been in the live streaming industry for just about five years. I've been in the professional audio-visual industry for 10 years, and I'm located here in West Chester, Pennsylvania. I have transitioned between multiple different areas and positions in the market ranging from sales and design to marketing, and now I'm really in a role of more leadership, training, and education. 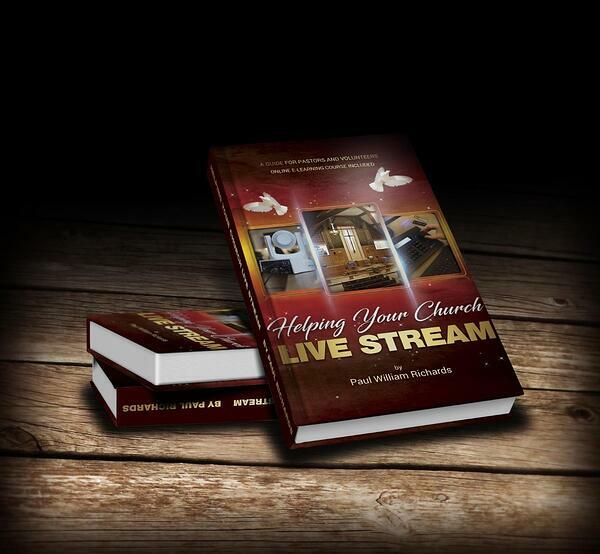 What was the inspiration to write a book based on church Live Streaming? I have been all around the world. I've been to Europe where I saw some of the world's oldest churches and cathedrals that were thousands of years old. I've been to Africa where I've seen mosques, and I've seen small churches in villages in Africa. I've been in India to the river of Ganges. I've been to the Taj Mahal. I've been to the Great Wall of China. Throughout my travels, it always struck me how powerful the message of God is around the entire world. In the past five or 10 years of my life, I had my first son and my first daughter. I went through the experience of raising children into this world. My wife was very keen on raising our children in the faith of Christianity so we had our children baptized in a small church in Ledoux, Missouri. Through that process, I've been able to grasp the power of God and the force of good in the world that the church has. So, it's partially a way to give back. The book that I've written is dedicated to my wife who helps me renew my faith every day. It's partially inspired by my wife moving from her hometown in St. Louis, Missouri to live with me here in West Chester, Pennsylvania. She had to leave her hometown church. She felt disconnected, she felt uprooted. I had a lightning bolt moment where I said, ‘wow, you know my wife's not the only person who grew up in a small town who has a strong connection with her church and had to for whatever reason leave her hometown church.’ I just had this moment where I said, 'wow, if I could help my wife's hometown church live stream their services, our family can stay connected with our extended family and church in Missouri'. It was just a beautiful moment. So, it's partially a way to give back and partly a way to help spread the message of the excellent organization of Christianity and churches in the world. So, if I were to pick up a copy of this new book of yours what would people learn? Can you give us a little overview? I've worked with so many pastors, and individuals in church leadership positions in the United States and abroad. I realized that for most pastors, for most people in a church leadership position, learning about technology and streaming media is almost like learning a foreign language. I've been told that many times. So, I wanted to write this book in a way that any pastor or someone entirely new to live streaming could understand the process at a high level. The book starts with a personal story. 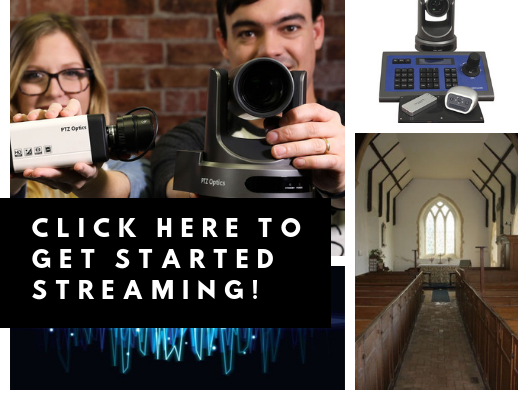 I tell the story that we just talked about how when I donated a live streaming system to my wife's church in Ledoux, Missouri the Village Lutheran Church. 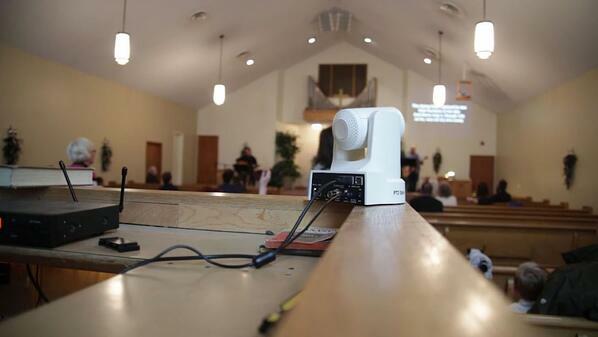 After I donated to them, I realized I had to deliver this live streaming system to a pastor that had no idea how to use it. He had no idea how to collect digital donations on Facebook, he had no idea why it's essential to have a YouTube channel, he had no social media marketing team, and I think that's the majority of churches. They may see the benefit of it, but they are just really lost, and I knew for a fact that there were zero books on this topic. So, I wanted to write it as a guide that any pastor could understand and start with the 'why'. Why are we spreading the message of God on social media? There is a lot of fear that if churches stream that people will be reluctant to come into the church because they can just watch it from home. I wanted to talk about the "why" and help people understand and overcome some of the early fears that might be keeping them from using this powerful outreach tool. Then slowly (and hopefully in a way that's easily digestible) walk them through the most important and easy ways to implement a live streaming system. 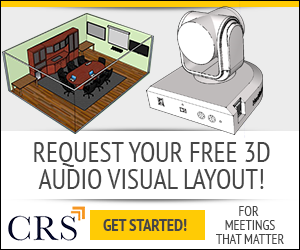 Why do you think it's necessary for churches large and small to be streaming their services? It's a crazy world. Social media has entirely changed the way that humans communicate. It's a digital transformation, a complete cultural shift that churches need to adapt to quickly. There are large organizations like the government of the United States, governments all over the world, large institutions that are slow to react to a rapid change. Social media websites are using artificial intelligence to move the speed at which their organizations are growing. There are billions of users on Facebook. It's entirely changing the digital landscape and in good ways but also bad ways. Social media is something that can connect people with God and connect people with organizations that can help them through tough times in their lives, but it can also be a place where we see cyberbullying, there are some really dark things and not just online but offline. Wars are going on. Some people are displaced all throughout the world, and I'm not saying that live streaming is going to solve those issues, but the church and the message of God is a solution for many people. I've seen it in small towns in Africa where sometimes you're growing up in these in these environments where there's poverty, and people are starving. And I was able to walk into a church that's a Christian church. There were missionaries from the United States that went out to these villages to help give them hope and give them a message of God that really allows people persevere through tough times. I would say that why churches should be live streaming is because it's a harsh world out there and people need something that can really help them through these tough times. It could be a tool for evil, or it could be a tool for good. And I really hope that my book is a way to give back to help speed along the process for churches to use it as a tool for good. Paul do you have plans for writing more books in the future on this subject or on others? I definitely do. One of the plans for this book is that I didn't want it just to be a book. So, this book actually includes an online training course. And it also consists of an audiobook as well. If the book can solve the why and explain how, where do you go from there? And so there's a complete online training course for church volunteers or pastors. The tips in the book have come from 5 to 10 years of audio-visual experience. These tips will help bring volunteers or pastors to an understanding level so they can be a lot more helpful in spreading the message of God in a way that will create digital donations for the church and help the community reinvest in all the things that they find that are needed. It's less than $10 on Amazon, so you can just hand it to a person who might be a little bit skeptical so that they can answer the why. Plus, our organization at the Stream Geeks actually live streams every week. So, we're really connected in a way that can help churches live stream. That's the name of the book. But I just wanted to mention that it really is more than a book. 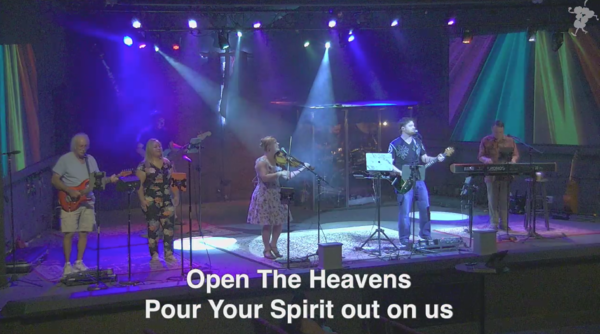 One of the things that I've found out is that overwhelmingly, the churches that are live streaming today are using a free open source software called Open Broadcaster software. I found that similar to the fact that there are no books about churches that live stream, there are no books about Open Broadcaster software even though it is the most popular live streaming software in the world. So, my next book is going to be about that software. And I think it will really actually extend the way in which I can help churches start live streaming. The course itself gives a lot of great information but I actually already have 15 courses online that churches can decide to take as well for free! Where can people find these courses? You said the book is on Amazon, but if you wanted just to check out some of the courses where should people go? So, the courses are available on a website called Udemy. It's udemy.com. I am in the process of also making them available on YouTube as well. But Udemy.com as an excellent place for online learning and I have 15 courses there, and there are over 15,000 students actively learning about live streaming. Paul, is there any anything else you'd like to add before we close? Well if you listened to this podcast, thank you so much for taking the time. Our mission here is to help organizations uncover the power of live streaming, and I think that we covered that topic quite well today. So, just follow us on Stream Geeks, and you'll probably be excited to see what we have to offer. And if you can pick up the book on Amazon with the Kindle or on the audiobook and I think it's a significant step in the right direction for any church which is even just considering what they're doing with social media and outreach.